I can't go up to the train room too late as the dogs go bonkers and wake my wife up. I've put a dog bed in the layout room to encourage settling down and it's worked quite well. Dunno if something similar might work for you? Apart from the fact that I don't really want dog hair in there, there are 4 of them. Sophie would be fine, William hates me for some reason (think it's because I smoke) so wouldn't come in, Guinness would then bark and bark at me and William outside and Saskia would try to eat everything. I love them all but the train room is completely out of bounds. I hope you're not going to include the smell from the refinery too at Tutera. What are you saying. Looked it up and all the tourism sites say how beautiful the refinery looks when lit up at night. They must be from Port Talbot and used to the smell. (Sorry anyone from Port Talbot ). Seriously, it's more about having a largish station by a beach, that doesn't look wrong, for ideas. It's the only one I could find that wasn't a harbour station except for Penzance (have ideas from there too). If anyone knows of others I'd be very grateful for any input. Chris, I don't know if these links are any good. The best I think is the last. 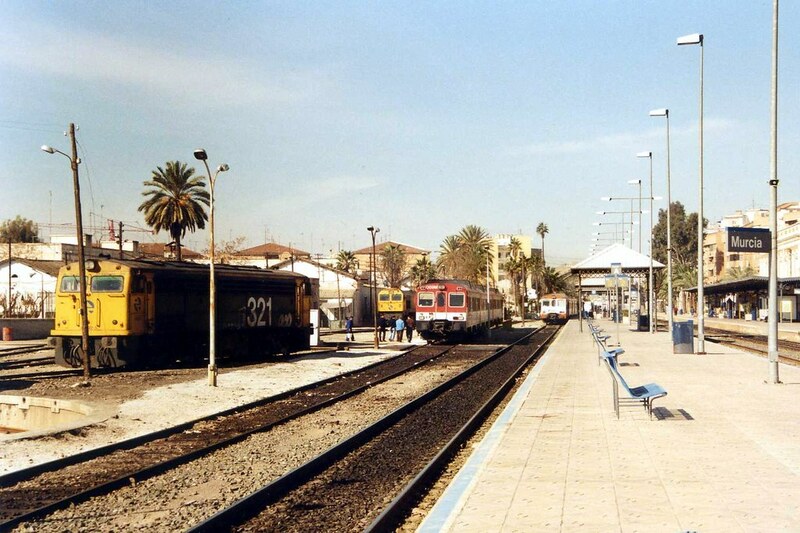 There used to be two stations in Alicante, one serving Madrid ( Ferrocaril MZA) and the second seving Murcia and Cartagena, now totally disappeared. It left Alicante, single track, following the coast line for about 5km. The photos may give you some ideas. I can't yet find anymore info or track plans but will search if you want. The text is in Spanish, I don't know if you understand the lingo but I'll translate if there's anything you don't understand. PS. the lights on the refinery are so beautiful that they completely take the smell away. what spanish diesels do you have? how about dual standard/iberian gauge track somewhere! Thanks for those. 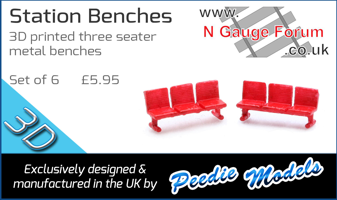 They will be very useful for the '60s running days on the layout. I know practically nothing about steam in the UK let alone Spain, I just liked the idea of dabbling in steam, so any info is good. Regarding the lingo, I have an A Level in Spanish (only a grade D though) but then lived for a about 4 months in a small town outside Madrid where only 2 people spoke English so it improved dramatically. Unfortunately a lot is forgotten although I think it's in the brain somewhere so will read through at a leisurely rate, dictionary in hand. I've only got 4 Spanish diesels at the moment. For both Roco RENFE 307 (their version of the SNCF 63000). Old thing off ebay but seems to run OK. Regarding the dual track, I have thought about it. The main station of Tutera hasn't really been planned yet but if you look on the overall view pic there is a local line, which is just SNCF at the moment, coming round from the top right. This might have to become a dual line as crossing it over to the main SNCF line might take up too much space and be complicated with the Kato track set up. I've also thought about a Talgo gauge changer which could help out the real chaos at Port Bou caused by it during the Summer months but the space would need careful planning. Also thought about Izaro having it's own liveried railway. All things for me to think about. I like 321s - I wouldn't mind one in ho. the Arnold one looks good in n too. I also like 333s with the squarish cabs. you don't see many spanish layouts so will be following your progress! Makes me feel warmer sitting here in a jumper. A couple more links you might be interested in. I don't know a great deal about Spanish railways, but a lot of the diesels are American and the early steam locos were British built. Alot of the original track was laid by British companies so why they chose 6 Castillian feet as the gauge rather then standard gauge is strange. Sorry Weave, I'll shut up now and sorry for hi-jacking your thread. Tim, forgot, I have a Startrain 308 diesel in grey and red. Poor thing was literally forgotten (don't know how you can forget you have a locomotive) but it was in a box with some spares/repairs coaches. Nothing wrong with it, practically brand new. No worries. Hijack away. Think the 'Continental' folk are more interested in Swiss and German anyway.